You remember that console that your friend always showed off at his house. 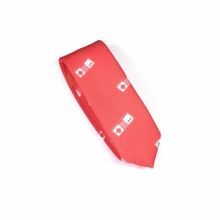 But now, you’re the one who will show off with this unique necktie, imagined and designed for the elegant gamer. 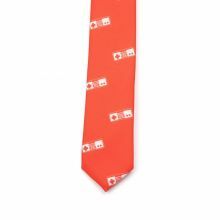 A necktie with a white gaming controller print. The Gamer Necktie was designed by Colton Foster for the Geek line and was created with our 100% polyester Burlington fabric and a 5 cm blade to give it a casual look.